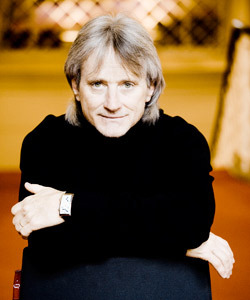 Standing Ovations and Cheers Greet Pacific Symphony in China! From the Big Apple to Beijing and beyond, Pacific Symphony has been wowing audiences and proving once again that it is a world-class orchestra and a major ensemble to be reckoned with. Follow all the steps of the tour with hastag #PSTourChina on social media and on the Pacific Symphony blog. Pacific Symphony has returned from its first-ever tour to China and first international tour since the Symphony toured European capitals in 2006. The five-city tour launched May 9, 2018 with a concert at the Shanghai Poly Grand Theatre, followed by performances in Hefei (capital of Anhui province), Wuxi (Jiangsu province), Chongqing (major city in southwest China), and Beijing. The final concert took place at the National Centre for the Performing Arts, colloquially known as “The Giant Egg” due to its distinctive dome-shaped, titanium and glass architecture. The Symphony’s tour included works by Leonard Bernstein in celebration of his centennial, as well as Ravel’s Daphnis and Chloe, Suite No. 2; Pictures at an Exhibition by Mussorgsky (arranged by Ravel); and Mozart’s Violin Concerto No.3, featuring soloist Pinchas Zukerman. The visit to China followed another important tour this season to New York City for the Orchestra’s Carnegie Hall debut on April 21, 2018. Longtime Pacific Symphony supporters Sandy Segerstrom Daniels and Sally Segerstrom provided a major lead gift in support of the tour. 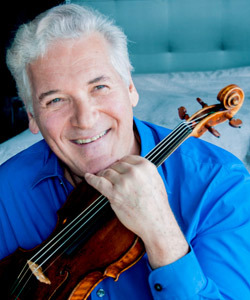 Pacific Symphony also received a dollar-for-dollar match up to $150,000 to support the tour from Overseas Business Consulting, Inc.
Pinchas Zukerman’s appearances with Pacific Symphony on tour were generously underwritten by Jerry and Terri Kohl. Additional major support for the tour was provided by Charles and Ling Zhang.